If confirmed, Castro would head an agency begun in 1965 by another Texan, former President Lyndon B. Johnson, as part of Johnson’s Great Society. The agency has a $49 billion budget. Castro's nomination must get approval from a Senate committee and the full Senate. 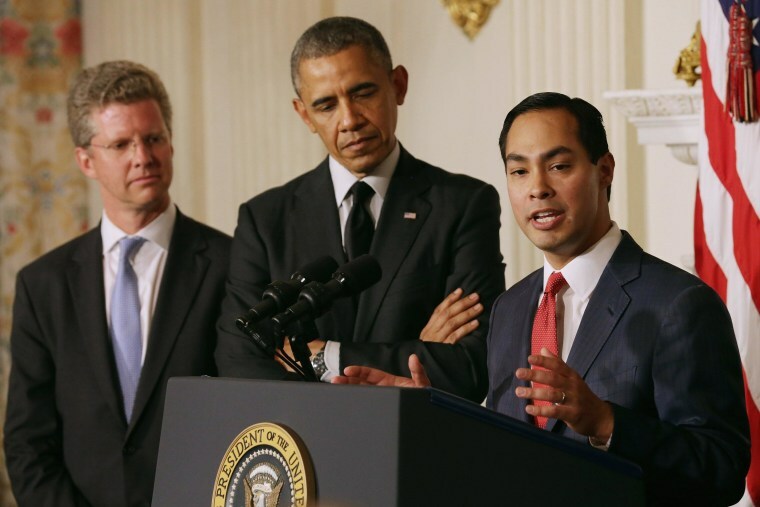 Obama said as mayor, Castro has focused on revitalizing San Antonio, the nation's seventh largest city, by planning thousands of housing units downtown and attracting investment and has also built relationships with mayors across the country. “Maybe one day, the kid grows up in that home is able to go on to get a great education, become the mayor of San Antonio, become a member of the president’s Cabinet,” Obama said. Much of the focus on Castor's nomination has been on what it means for a 2016 Democratic ticket. His addition to the Cabinet could help Obama energize Latino voters, with whom his high approval rating has been slipping. But Democratic strategist Larry Gonzalez of the Raben Group said the housing crisis so devastated the Latino community that only if Castro focuses on the successful polices he implemented in San Antonio will he "bring the Latino community, who still believes in the American Dream, along with him." Rolf Pendall, director of Metropolitan Housing and Communities Policy Center at the Urban Institute, said Castro’s experience running a city should serve him well because he knows how to synthesize housing and urban development as a city mayor. Castro made clear Friday he hasn't abandoned his San Antonio loyalties. With nudging from Obama, Castro cheered his hometown Spurs basketball team now facing the Oklahoma Thurder in the Western Conference finals of the NBA playoffs. "Go Spurs Go!" Castro said.